Adrenocortical carcinoma (ACC) is a rare and aggressive endocrine tumor that is actively secreting in approximately 50% of adult patients. 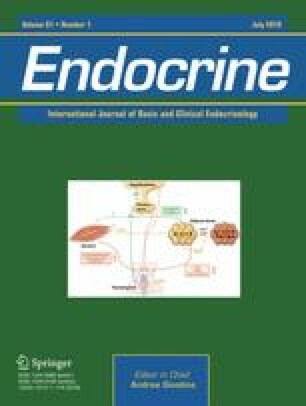 Cushing’s syndrome is the most commonly associated endocrine disorder  that negatively influences the outcome of ACC patients, due to cortisol-related comorbidities  and the immunosuppressive effects of cortisol excess that may promote tumor progression . The management of ACC patients is challenging and demanding because physicians have to deal with either oncological or endocrinological issues . Grant IG 2015-17678 from Associazione Italiana per la Ricerca sul Cancro (AIRC) to MT. Private grant from the amateur dramatics group “Attori non per caso”, parish church of Collio Valtrompia (Brescia) to BL. This study was funded by Associazione Italiana per la Ricerca sul Cancro (AIRC), grant n. IG 2015-17678 to MT and by a private grant from the amateur dramatics group “Attori non per caso”, parish church of Collio Valtrompia (Brescia) to BL.